The structural components of the umbilical cord, including two arteries and one vein, the stromal region/Wharton’s jelly, and amniotic epithelial membrane, are well described at various time points of gestation. 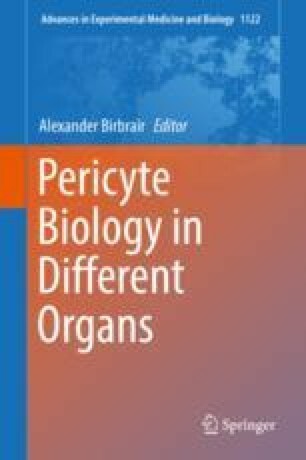 Over the last two decades, evidence has emerged that multipotent cells sharing properties of mesenchymal stromal cell and pericytes/mural cells can be isolated from multiple regions of the umbilical cord, including the perivascular region of the umbilical cord arteries and vein, Wharton’s jelly, and subamnion. These cells have increasingly gained interest for their potential use in regenerative and immunomodulatory medicine. Recent studies suggest that obstetrical complications including gestational diabetes mellitus and preeclampsia may alter the yield, properties, and potency of mesenchymal stromal cells isolated from the umbilical cord. The role that pericytes or pericyte-like cells play in the development of the human umbilical cord and associated pathologies, however, remains to be investigated. Part of “Biology of Pericytes: Development, Homeostasis and Disease”, a forthcoming volume which will be in the Springer Nature series “Advances in Experimental Medicine and Biology (ISSN:0065-2598)”. The authors would like to thank Farwah Iqbal (Librach lab) for providing unpublished data included in Fig. 12.5 and Denis Gallagher (CReATe Fertility Centre) for his careful review and edits of the manuscript. The authors would like to acknowledge the authors of previously published books and scientific articles for contributions to figures. Some images found in Figs. 12.2, 12.3, and 12.6 were obtained with permission as described in figure legends.